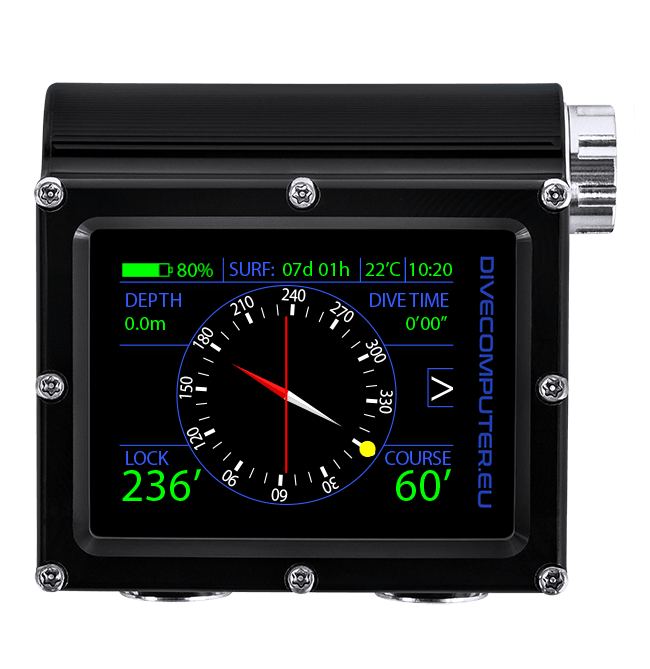 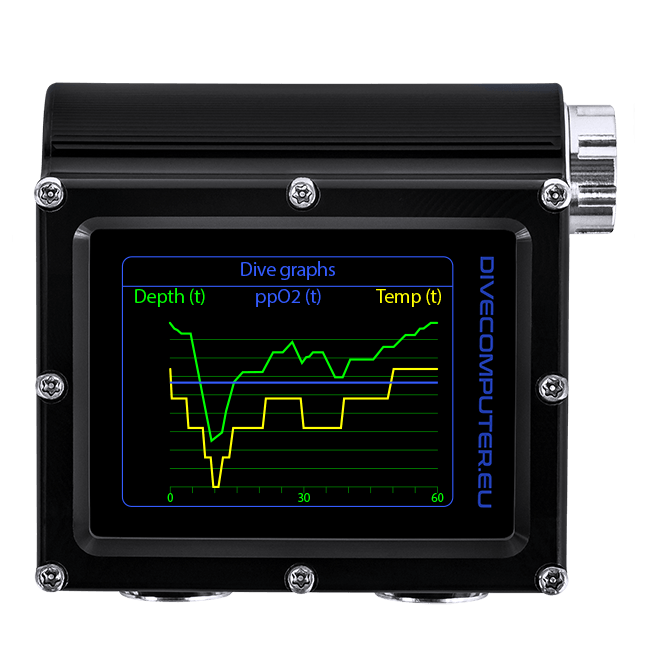 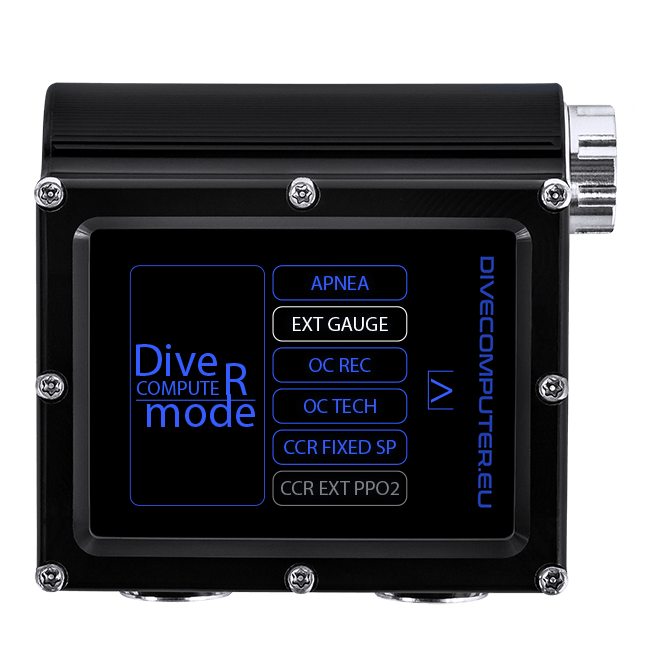 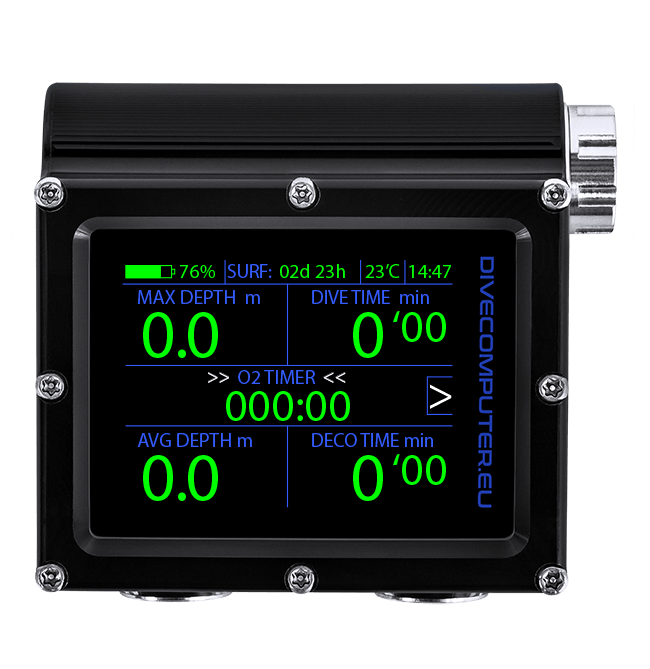 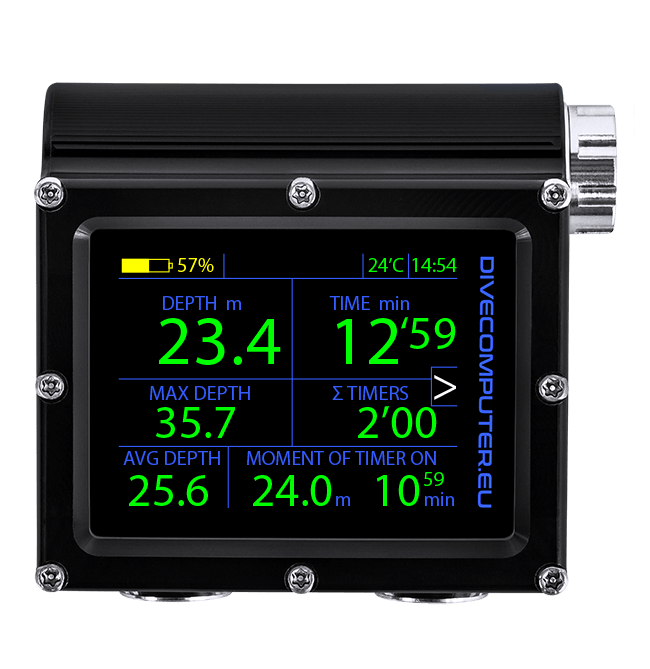 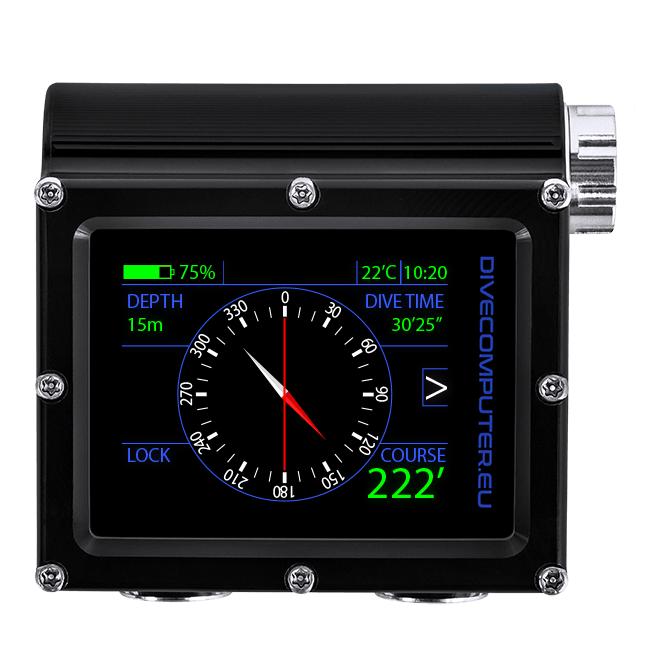 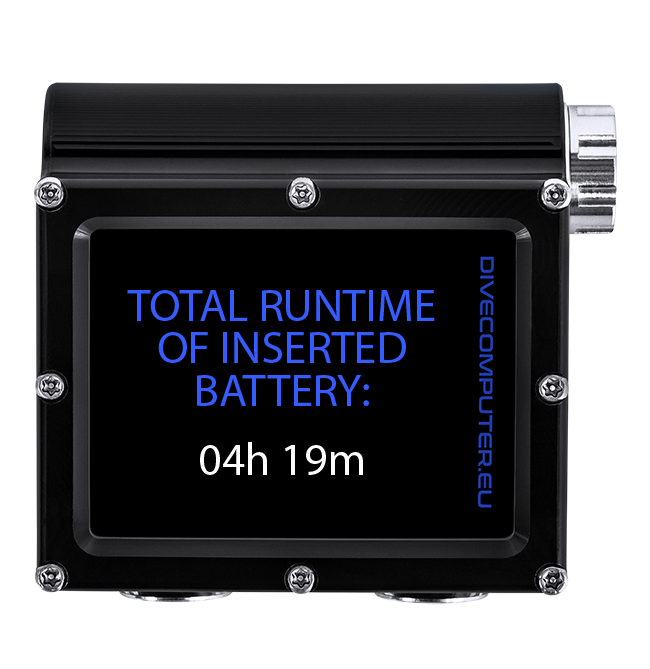 Basic information about the dive, stopwatches and buttons for entering the device sub-menu. 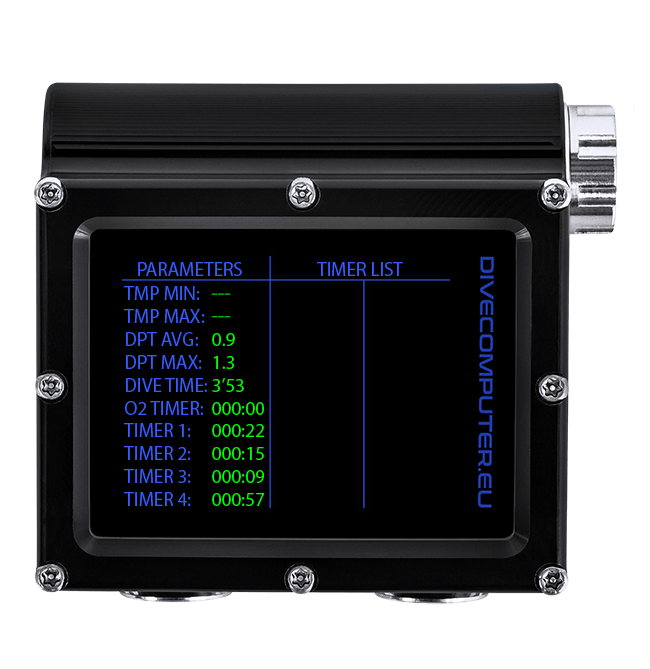 Critical values of dive parameters and list of stopwatches runtime. 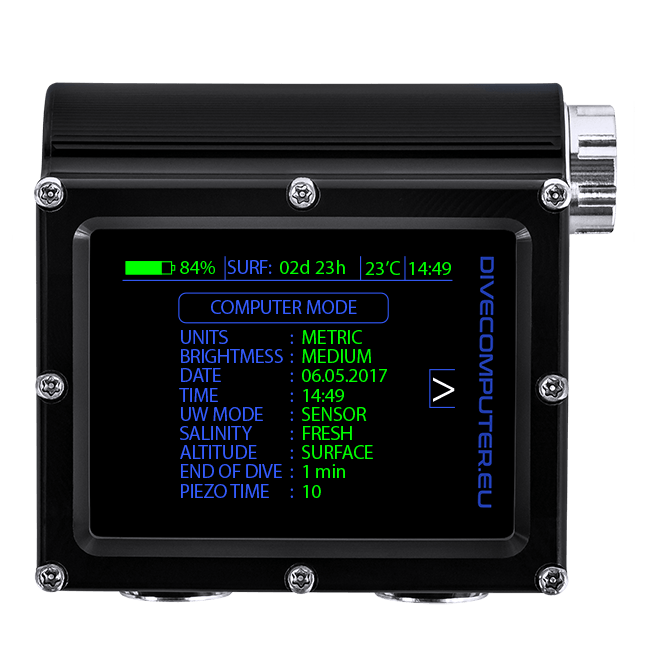 Screen containing the current dive parameters and information about the decompression. 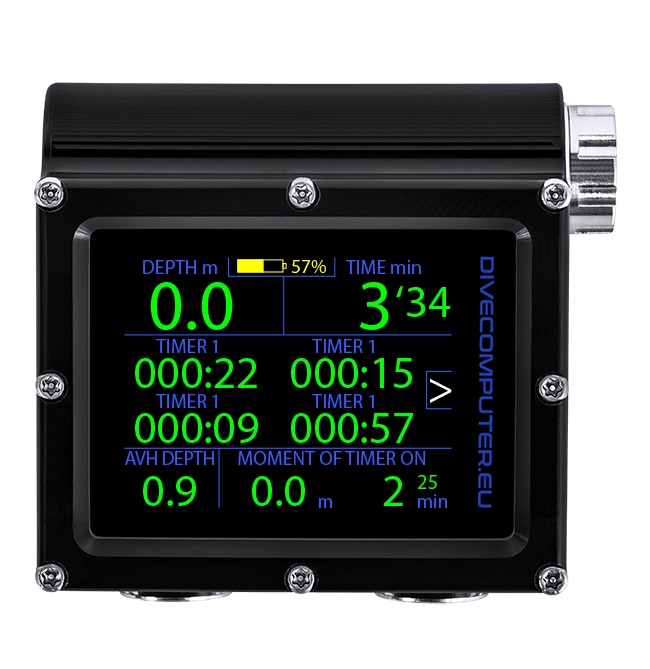 Management screen (on / off / change) of stopwatches. 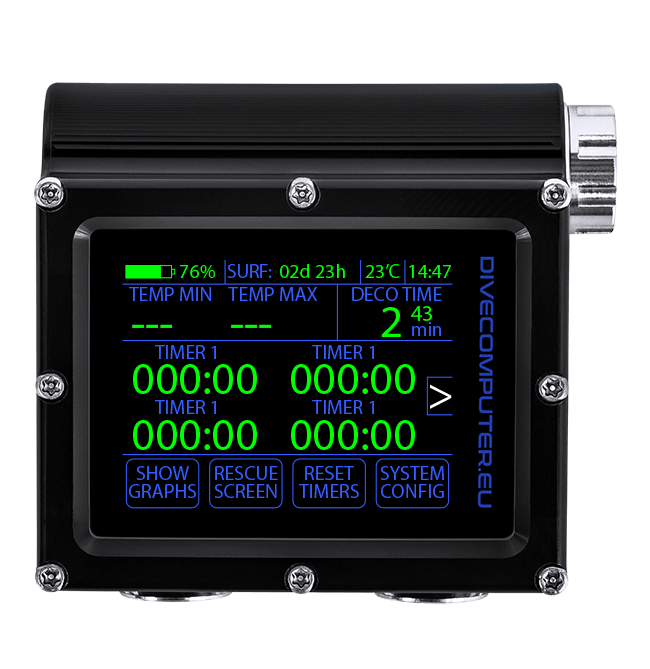 Screen for changing device parameters.